Dr. Miquela Rolle (PT, DPT, CKTP, ATRIC), is one of the few Doctors of Physical Therapy currently living and working in Nassau Bahamas. Her Journey began when she graduated from Queen College High School (2003) and went on to attend and graduate from The University of Kansas (2007) with a Bachelor of Science in Health, Sports and Exercise Science. She then relocated to Hollywood Fl and managed The Back Gym where she supervised and implemented aquatic and land based therapeutic exercise classes for pre-operative and post-rehabilitation patients. Having been captivated by rehabilitation, fitness and wellness she applied and was accepted into the Doctorate of Physical Therapy Program at Florida International University (FIU) Miami, FL. Miquela graduated from FIU in 2011 after successfully interning at Florida Occupational and Orthopedic Physical Therapy center, Oakland Park Fl; Doctors Hospital Acute Rehabilitation Department, Nassau, Bahamas; OrthoSport Physical Therapy, Davie, FL & Baptist In-patient Rehabilitation Department, Kendall, FL. She moved back home to Nassau Bahamas where she accepted a position as Physical Therapist at Doctors Hospital where she worked in both Acute and Outpatient Settings. In 2013, she became a consultant Physical Therapist for International Orthopedic & Sports Therapy. In 2015, Dr.Rolle established Paramount Rehabilitation & Fitness Center. Needless to say Miquela is an advocate for health, fitness and physical rehabilitation. She is a certified by Aerobic and Fitness Association America as a group exercise instructor and also she is a certified Zumba Instructor. Her areas of interest are occupational and Aquatic Physical Therapy. Miquela is married to Andrew C Rolle, LLB. She is the eldest daughter of Michael and Denise Bethel and attends Evengelistic Temple. 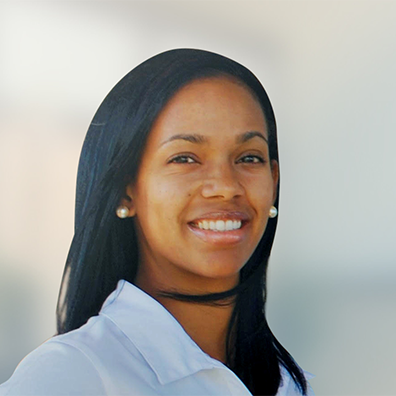 Dr. Miquela Rolle is committed to be known for her efficiency, empathy and passion for helping patients achieve their greatest function and fitness levels.